Minimum quantity for "Kidsmania Garfield Bubble Gum Dispenser 12 PCS" is 1. Minimum quantity for "Kidsmania Garfield Bubble Gum Tape 12 PCS" is 1. 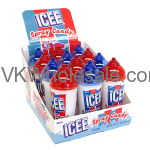 Minimum quantity for "Kidsmania ICEE Spray Candy 12 PCS" is 1. Minimum quantity for "Kidsmania Sour Blast Toy Candy 12 PCS" is 1. Minimum quantity for "Kidsmania Sour Flush Toy Candy 12 PCS" is 1. 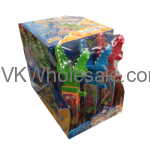 Minimum quantity for "Kidsmania Sucker Punch Lollipop Toy Candy 12 PCS" is 1. Minimum quantity for "Kidsmania Sweet Beads Toy Candy 12 PC" is 1. 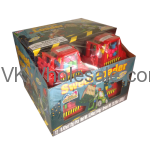 Minimum quantity for "Kidsmania Sweet Buggy Candy Filled Car Toy Candy 12 PCS" is 1. 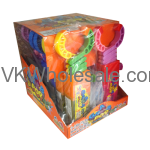 Minimum quantity for "Kidsmania Sweet Loader Toy Candy 12 PCS" is 1.